Votes are in for Best of Show -- Attendees at the Reception held on April 17th voted for which artwork they liked the best. 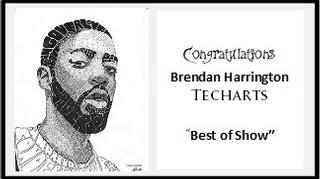 Almost all artwork received votes, but more voters appreciated the skill and challenges of Brendan Harrington's "Brent Faiyaz." FOUND...from Students, Staff and Faculty! 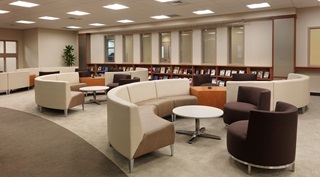 Reference Librarians are always available when the library is open to help with all your research questions or to point you in the right direction for more help. Many Library services are available to you 24/7 so you can always take advantage of researching databases even when the Library is not open. 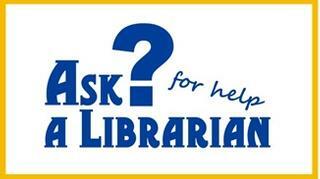 Ask a Librarian for help during regular library hours!